Peace, Stability and the Power of 11-11: Happy Anniversary Mike & Margaret! Every year on November 11th, I am reminded of how blessed I am to have both my parents in my life, to have both parents who are incredibly sharp of mind, a little slower physically, and, oh so important to our familia. As kids, we Torres used to think that we got November 11th off from school, not because of Veterans Day, but because of Mike & Margaret Torres’ Anniversary! My familia is by no means perfect but the one thing that we have been given by this union with our parents is STABILITY and PEACE. Who knew that these two things would be soooo important to me? I feel sad for those who have never known this kind of stability: of having to be home at night, having a set bedtime, having to do homework, housework, having to be there for each other, having to take each other into account and to know that your actions WILL affect the family either in a good or a bad way. I may have fought being a part of this concise unit for a time but NOW…there is no greater comfort to me than to know that I can go home to BOTH Mama and Daddy and that my fam continues to be united. Mom and Dad taught us all how to live in PEACE, not to look for trouble, to treat folks right, and to do the right thing WITHOUT turning our backs on each other EVER. While the 5 of us can ‘go there’ and argue with the best of them, the one thing we can never say, nor even imagine, is that we are not speaking to each other. Our entire lives, my parents always taught us that we have to stick together, that we have to be there for our brothers/sisters. In the words of Mike Torres, “Kiss your brother for good brother/Kiss your sister for good sister” LOL. As I spent this past weekend with my parents literally lying around watching TV and sleeping … Daddy tells me, ‘mija, parece que tu cabello paso por un huracan’, and Mama says, “sorry to laugh, but I hardly ever see your hair so messy!” It’s like we were taking care of each other this weekend and enjoying a peaceful, stable, weekend. I was there when the clock struck midnight on 11-11-13! Love love love love Mike and Margaret Torres and grateful to be able to celebrate 11-11 with them, for them, and for me. My parents have albums full of pictures that folks have taken of them over the years and this photo is one of my favorite shots of them from the 70’s — Mike & Margaret always worked it, always looked good when they went somewhere. Happy Anniversary Mom & Dad, 52 years strong! Every year, I tell myself that ‘this is the year I’m going to make an altar’ to celebrate my departed loved ones for Dia de Los Muertos! Have I done it yet? No. But I will say that, this holiday, more than any other, has helped me to realize that death is a natural part of life and, by embracing it, I have been able to think of my departed familia, friends, colleagues, and fam friends with a smile on my face celebrating what their life was and what they meant to me versus the scarier Halloween version of death, violence and monsters. 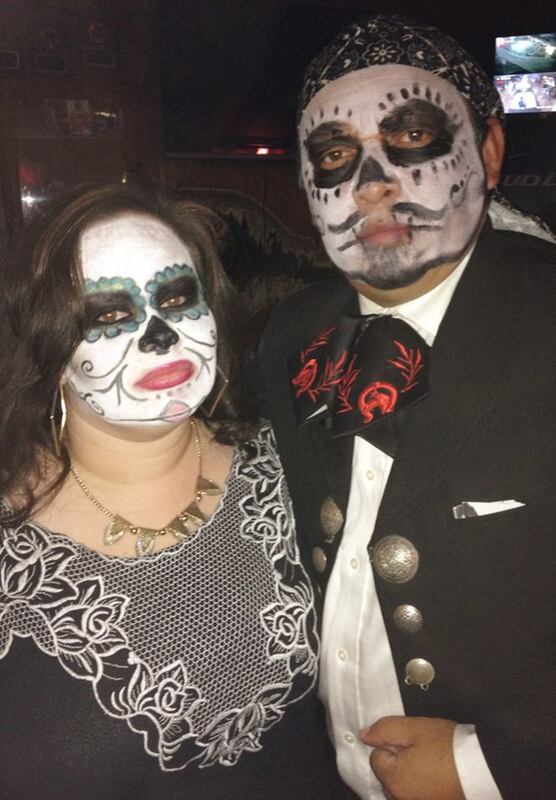 Now when I see these Dia de Los Muertos symbols, I am comforted instead of being scared…here is a small explanation what the event is all about…it’s a great tradition! 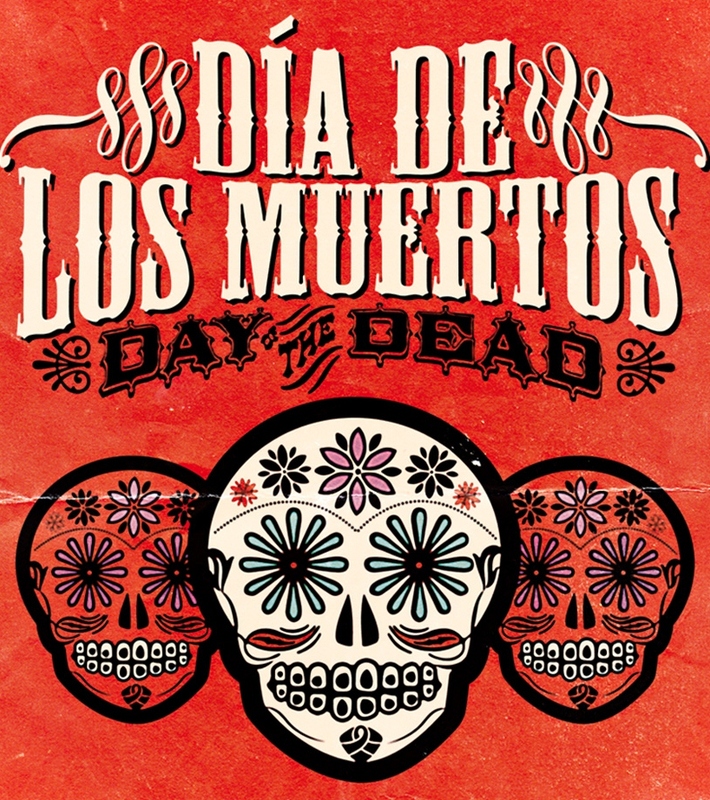 Dia de Los Muertos is celebrated throughout Mexico and increasingly, in the US, and around the world in other cultures. The holiday focuses on gatherings of family and friends to pray for and remember friends and family members who have died. The celebration takes place between October, 31, November 1, and November 2, in connection with the Christian tradition of All Hallows Eve, All Saints Day, and All Souls day. 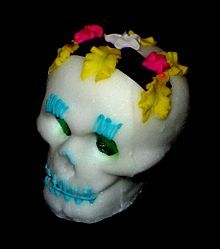 Calaveritas de Azucar/Sugar Skulls: These are ‘calaveras’ made out of sugar, some of them have the loved one’s name on them. 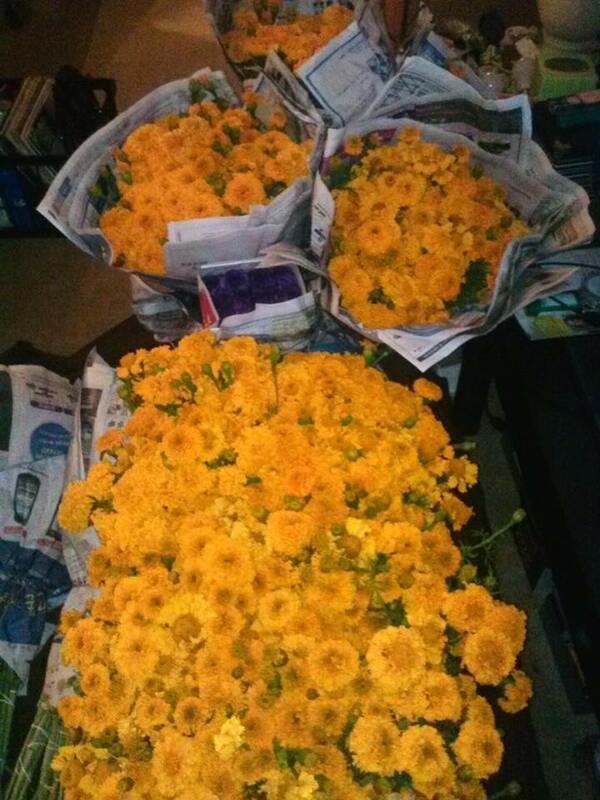 You can find them around this time of the year at festivals and tiendas mexicanas. 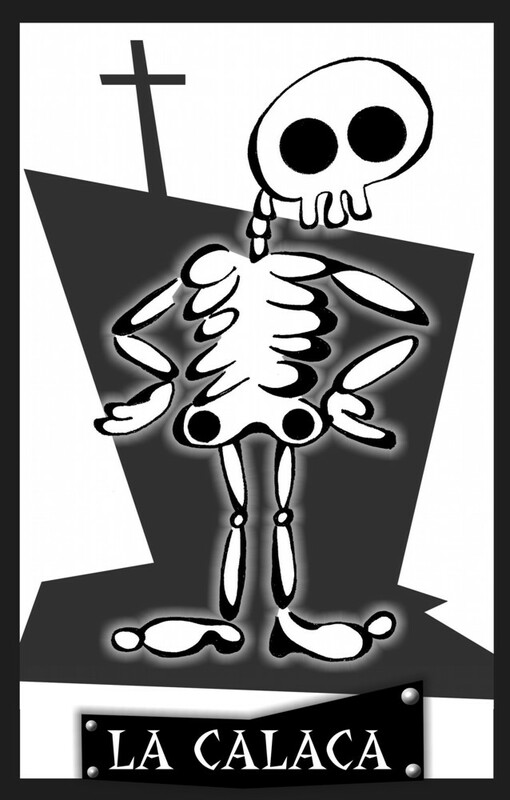 Pan de Muerto is also very popular and, many times, you’ll find pan de muerto in shapes of bones, etc. 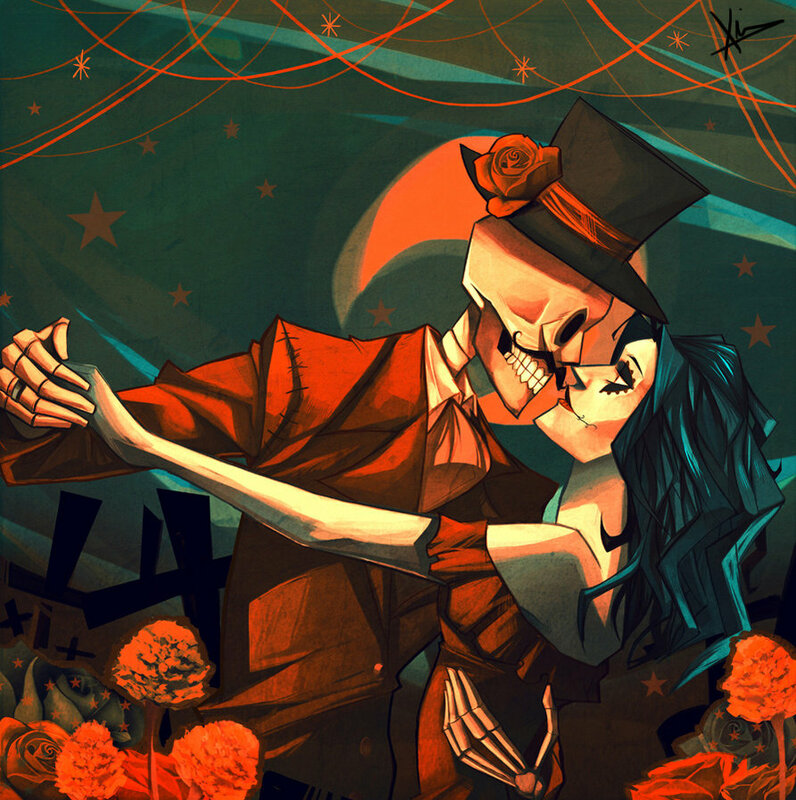 La Calaca refers to the skeleton that is associated with La Muerte…you’ll find it mentioned especially in the Calaveritas de Poesia/Poetry. 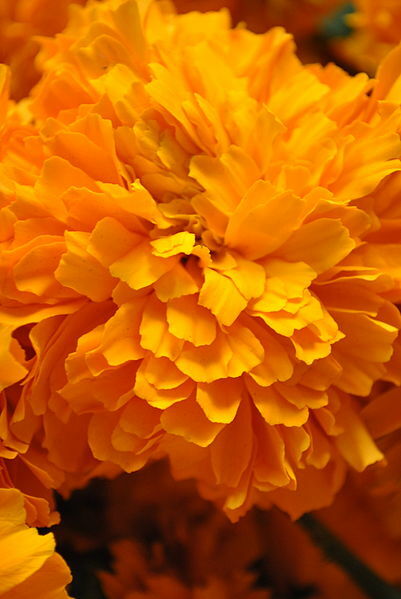 Marigolds – the official flowers of Dia de Los Muertos celebrations, flowers that celebrate the lives of the departed. Dating back to Aztec times, it was believed that the scent of the flowers would help lead the dead back to their loved ones here on earth for the day. Masks are positive symbols which celebrate both death and rebirth! 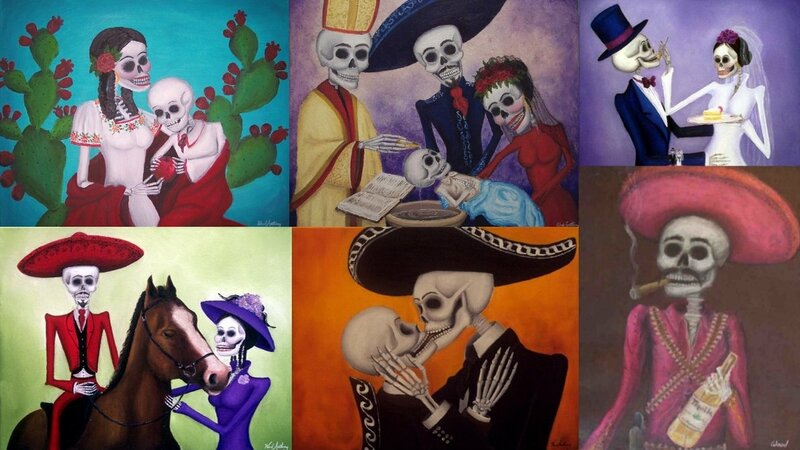 Masks also serve to help one overcome the fear of death and love it that folks bring life to these masks and calaveras! 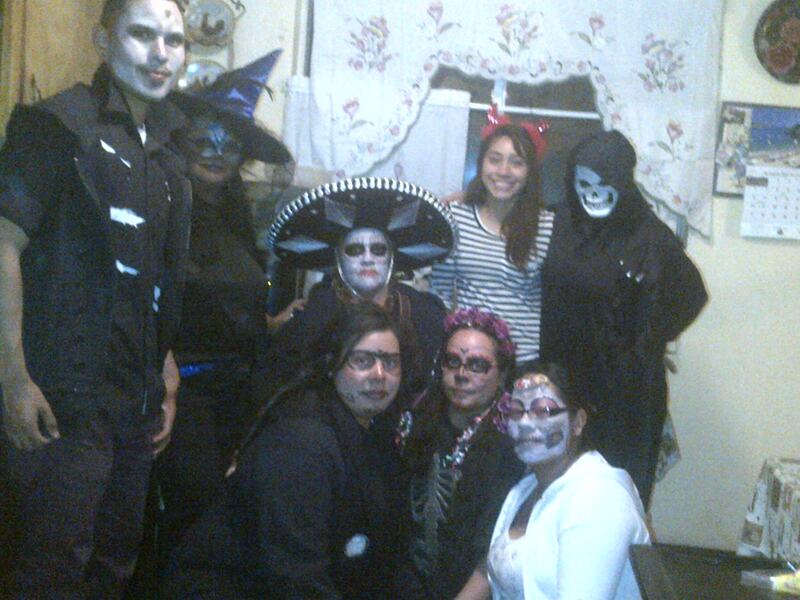 Here is shot of some of my fam at our Dia de Los Muertos/Halloween party last week! 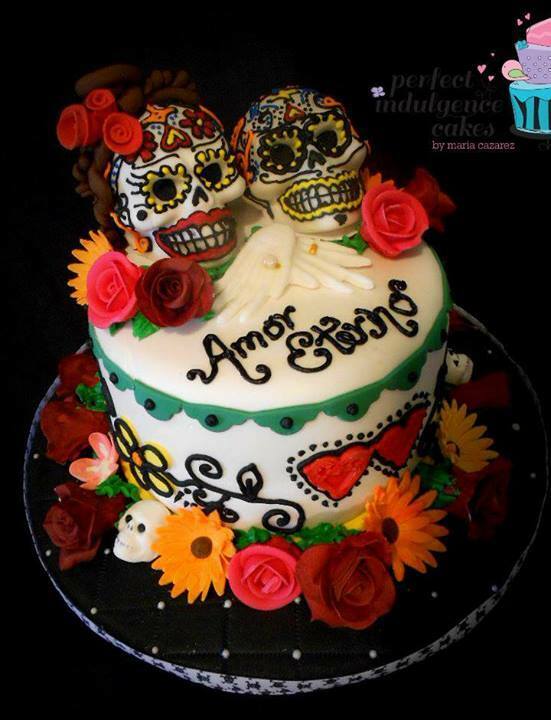 Dicen que enamorarse mata…Yo me enamore de la calaca y hoy de su tumba no me saca! 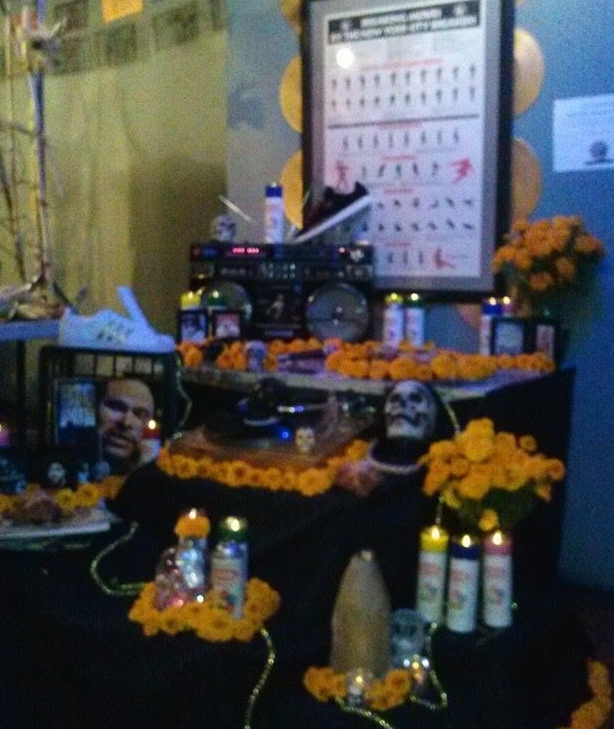 Folks usually display the favorite foods, beverages, and possessions of the departed to celebrate their lives. Altars are located in private homes, and some folks go straight to the cemetery, leave food at the graveside for their departed ones and they’ll straight-up picnic right there at the grave with music and everything.